Epilepsy causes unprovoked, recurrent seizures, which are sudden rushes of electrical activity in the brain. Over 4,000 people in Malta suffer from epilepsy. On International Epilepsy Day, Caritas Malta Epilepsy Association says that the chronic neurological condition affects all aspects of a person’s life but that the prevailing stigma is sometimes more of a problem than the disorder itself. When Mary* and John learned that their young son had epilepsy, they were at a loss, as they had no experience of the condition and knew nothing about it. The boy developed epilepsy following a fall down the stairs. Tonio, developed epilepsy when he was 50 years old. There was no warning sign. These are just some of the stories of individuals who approach the Caritas Malta Epilepsy Association on a weekly basis. Epilepsy is rarely spoken about; it is not discussed in public or in social fora, yet it affects over 4,000 people in Malta and over six million in Europe. In all, it affects around one per cent of the worldwide population. Epilepsy is the most common chronic neurological condition; it makes no distinction between race or social background and can affect any person and at any age. • Generalised seizures, which affect the whole brain. These types of seizures can vary from the most dramatic such as the Tonic Clonic seizures (formally called Grand Mal) where a person falls down, jerks and finally rests limp. Another type of generalised seizure is absence epilepsy which usually affects children, where the child simply stares and blanks out for a few seconds. • Focal, or partial seizures, that affect just one part of the brain. Some may be quite mild and may even be difficult to recognise. They can last a few seconds during which the person lacks awareness; while in others, some people can become confused. With the correct type of medication and the right dosage, around 75 per cent of persons with epilepsy can become seizure-free. However, 25 per cent of those with epilepsy do not manage to control their symptoms despite all medications. It is not clear yet, despite ongoing research, why epilepsy occurs in some individuals and not others. It is known that epilepsy can be due to head trauma or injury, some following a tumour or stroke, but in others it is idiopathic, i.e. the cause remains unknown despite investigations. To complicate matters, various triggers can lead to seizures in some persons such as stress, fatigue, alcohol, drugs and flickering lights, among others. In view of the fact that not many people are aware of this condition and its implications, many fear to give first aid to a person having a seizure. It is important to know that one can do nothing to shorten the duration of a seizure, however, one can still help in a number of ways: seeing that are no dangers in the vicinity such as sharp edges or sharp objects; put something soft underneath the person’s head; loosen anything tight; never putting anything in the person’s mouth or giving them something to drink and not holding the person down. When one sees that the person is in the clonic phase (becomes limp), one should turn that person in the recovery position. And when a seizure lasts longer than five minutes, emergency services should be called in. The stigma that surrounds epilepsy – the derogatory term in Maltese is ‘tal-qamar’ – is sometimes more of a problem than the condition itself. Ignorance breeds fear. Individuals with epilepsy have the same abilities, and are as intelligent, as anybody else. But it is not uncommon that children in schools are marginalised because classmates are afraid to be associated with them. Adolescents and adults may be thought to be on drugs when they have a seizure and can be labelled as such. Epilepsy has also been the excuse for couples to split up, also because their respective family members may make it difficult for the relationship to survive. 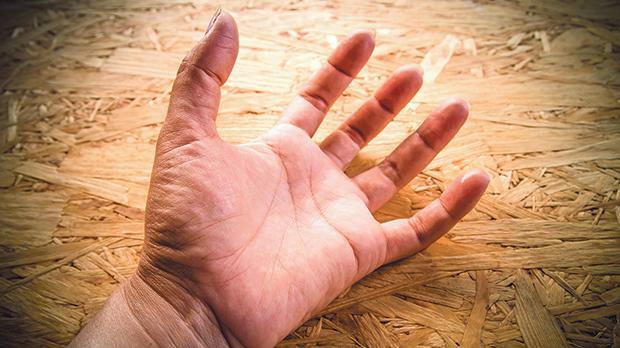 Many are reluctant to divulge that they have the condition when it comes to employment. Oftentimes, individuals with epilepsy are not recruited because of their condition even when these are controlled through medication or they can carry out their work as efficiently as other employees. In short, epilepsy affects almost every aspect of a sufferer’s life. Being a hidden disability, its manifestations may seem strange to the outside world. However, these occur over brief instances and, with a sense of responsibility, the proper adjustments, considerations and understanding, people with epilepsy can lead a normal life. Many famous people are known to have had epilepsy, namely Julius Ceasar, Dostoyevsky, Lord Byron, Alexander the Great, Van Gogh, Danny Clover, Ludwig van Beethoven, Agatha Christie and Hippocrates. Within the same month that they learned that their son had epilepsy, Mary and John came in touch with the Caritas Malta Epilepsy Association (CMEA). They soon found that they were not the only parents who were dealing with such a situation. Within CMEA they found much-needed support and all the information they needed about the condition. “One evening, I was in bed with my three-year-old son as he usually slept in his own bed. Right after we turned off the lights, he began moving and I told him that it was time to sleep. I soon realised he was not responding and turned on the lights and that’s when my journey with epilepsy began. “I immediately realised that he was having a seizure but I did not know what to do. As a caregiver, epilepsy is quite a challenging condition. There is no way to know when the seizures will happen although you do start to learn about triggers and certain conditions that may increase the likelihood of seizures. There are always new seasons when kids are growing and medicines must be changed and then challenges with school and learning. “A person’s social life is deeply impacted. Imagine taking your child to a friend’s house and explaining to a parent about what to do if the child has a seizure and when to call 112 and when to give a rescue medication. “The stigma associated with epilepsy in Malta still astounds me. I have heard many terrible stories of how people with the condition used to be treated and the shame that was brought on them. The Caritas Malta Epilepsy Association was set up in 1996 and now has over 300 members. 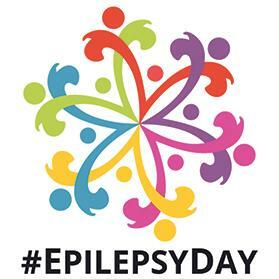 CMEA is a member of the International Bureau for Epilepsy which, together with the International League Against Epilepsy (ILAE) organises International Epilepsy Day. This special event promotes awareness of epilepsy in more than 120 countries each year, where people join together to celebrate and highlight the problems faced by people with epilepsy, their families and carers. The association is organising a national conference on epilepsy on March 10. The association may be contacted on maltaepilepsy@gmail.com and on its Facebook page www.facebook.com/Caritas-Malta-Epilepsy-Association-159255910806122/. CMEA also organises meetings for members every two months. All contacts and everything discussed during meetings are kept fully confidential. This article was submitted by Frank Portelli, Noel Portelli, Robin Pinkston, Caroline Attard and Janet Mifsud from the Caritas Malta Epilepsy Association.